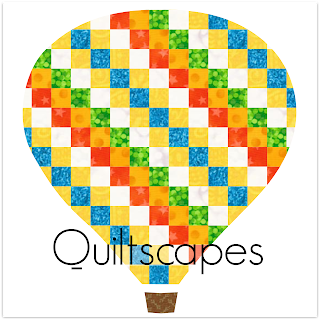 .Quiltscapes. : Blog Party Mania - Giveaway Day! Blog Party Mania - Giveaway Day! 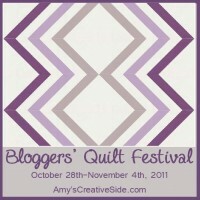 It's a busy week out there in blogland, beginning with Amy's Virtual Blogger's Quilt Festival. Last I checked, nearly 600 entries in the show. Amazing! Lots of folks had a great time at International Quilt Market in Kansas City last week and are sharing pictures on their blogs and Flickr accounts for those of us who stayed home to enjoy too! And now it's Giveaway Day (Week) hosted by Sew Mama, Sew! I'm giving away a KIT for a sweet little Thread-Catcher Pincushion! Perfect for the sewing room, the kit includes the pattern, instructions and supplies you need to make your own thread-catcher, including the pre-quilted "Threads" fabric in the picture. I fill my pincushions with rice, but you can choose your own filler, which will make it more cost-effective to ship internationally. Rules: One random winner, comment below. 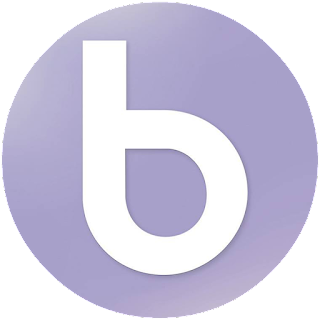 While you’re here, I'd love to have you follow/subscribe to my blog, FB or Pinterest; check out my free Tutorials as well as Quilting Basics Tutes, YouTube videos on the sidebar, or peruse my Patterns. OK, as for a comment: My birthday is coming up, so... A favorite birthday gift? Tell me what it was, is, or would be. My kids always ask, and I always say, "A clean house and happy kids." Of course, a cruise might be nice someday, too! Good Luck! Be sure to check out all the other giveaways at Sew Mama's. favourite b-day present? That would probably be a trip to somewhere. My husband took me up in a hot air balloon for my 40th birthday - fantastic, although the landing is a bit scary! Love this little kit. It would be a cool project to make with my teeny sewing group here in France (there are 3 of us!!) It's good for my French to translate projects for the other two. Fav birthday present was a membership to our local health club, now I go swimming 3 times a week, my shoulders don't ache as much and I can sew more!!! My sewing machine! Can't beat that one really. Thanks for the chance to win! Ohh.. 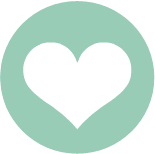 I fall in love with your blog, tutorals and boards! No matter if I win this pincushion (which is amazing btw ;) I'm glad to find you! Favourite present? My boyfriend took me to Las Vegas for my 25th birthday because I'd always wanted to see the Grand Canyon. It was a wonderful trip. Favourite birthday present? DH and I going to Austria or Italy for some relaxing days. I've been wanting to make a thread catcher! What perfect timing and with that adorable fabric. Love it! If I could have anything for my birthday, with cost no option, it would be a trip around the world traveling by plane, train, and ship. I usually get jewelry for birthday gifts, not that I'm complaining, but I sure wish someone would buy me a serger! LOL! Favorite present is always cash...so I can run to my favorite quilt shop! Thanks for the chance! I need a thread catcher. And was thinking about the same as Lesley, a big, big, big gift certificate to your favorite quilt store would be a great gift to receive. My favorite birthday present is the one I will get on my next birthday. I love the pincushion and thread catcher. It is as good as the little chick pincushion pattern you have shared. I got a Kindle for my birthday and I LOVE it. It wasn't a B'Day gift but it could be.My 6yr. Grandson came home from grade 1 with this idea for Granny. They went to a site on the computer called wordle and they msde a wordle for me.Each of his 2 sisters and brother thought of words that described me and then printed it on paper,framed it.It was pretty special.Some of the words KIsses, stuffy fixer and quilter. Hmmmm.... I like things simple so bubble bath, books, or gift certificate for fabric or clothing would be awesome!! I'm easy to please...a little day trip somewhere would be fun. I've always wanted a thread catcher but have never taken the time to make one. 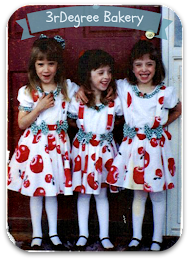 My favorite gift is craft supplies--yarn, fabric or cross stitch patterns. I agree with you! A cruise would be the BEST bday present EVER!!!! Thanks for the chance to win! I love getting handmade cards. One of my fave bday gifts was a spa day -- sooooo relaxing. My birthday is coming up too! I love going out to dinner for my birthday. I'm a girl of simple tastes :) Happy almost your birthday! No chores--that includes cooking and cleaning! Right now, my favourite birthday present would be a little trip with my husband to Rome. As my husband doesn't read any of these blogs, I know it'll be a book. Well, it's not the same, but it'll do. One of my favorite birthday gifts was a watch from my mom. Thanks for the giveaway! Fav birthday gift is always a beautiful cake made by my sweet sweet 85 years young mother. I follow via email - thanks! My favorite birthday gift?? Because I rarely get any presents, when my kids took me out to supper it made me cry. I loved it. My favorite birthday gift right now is the new truck my sweet husband just bought me. It allows me freedom to haul all the things I dream of hauling and the luxury to ride the highway with my darling husband. I am one lucky lady! My birthday is 5 days before Christmas so it always seems to get lost in the shuffle. My favorite thing is to spend a quiet day going out to lunch and having homemade chocolate cake at home in the evening. Of course, I wouldn't turn down cash or a gift certificate for fabric. Thanks for the generous giveaway. I follow by email. For a birthday there has to be breakfast in bed and fabric involved. For a dream present it would include a trip to Italy, we went years ago on honeymoon and I would love to go back. Thannk you for the fun giveaway. I love that fabric! I saw it in a shop recently. Thanks for a chance to win that lovely prize! You mean you get birthday gifts??? you luck duck! LOL I stay 26 3/4 so my b-day is always 3 months away! OK but I guess just any old gift card would be awsome! As sappy as it may sound, I really find handmade gifts the best gifts ever! MY favorite birthday gift is a gift card to my favorite bookstore. Love the thread catcher! I always have thread everywhere when I'm sewing. Happy soon-to-be Birthday! I love getting gift cards for restaurants--one less meal to cook is always a good thing. My favorite birthday gift is a spa day! My all-time favorite birthday present was finding out on my 50th birthday that I was going to be a first-time grandma. A big step down from that, I like getting gift cards or flowers. I love going out to dinner for my birthday because that means no dishes! My favorite b-day gift is a party with my besties...Love flowers and chocolate too! Love the thread catcher... such a great idea! My best birthday gift was my now 2 year old daughter who was born 4 days before my 31st birthday. I like to travel, so a night or weekend away or a trip somewhere is good! HELLO! LOVE TO RECEIVE FLOWERS + I LOVE TO SHOP + HAVE LUNCH OUT AT A NEW PLACE +S HOP SOME MORE! "HAPPY BIRTHDAY" A LITTLE AHEAD OF TIME! My favorite birthday gift would be a new barn to house my chickens. I choose a gift certificate to my favorite place to eat or Shop. My kids know how much I love pictures so they made me a Picture book for my Mother's Day gift this year. That didn't cost much but I LOVE IT! 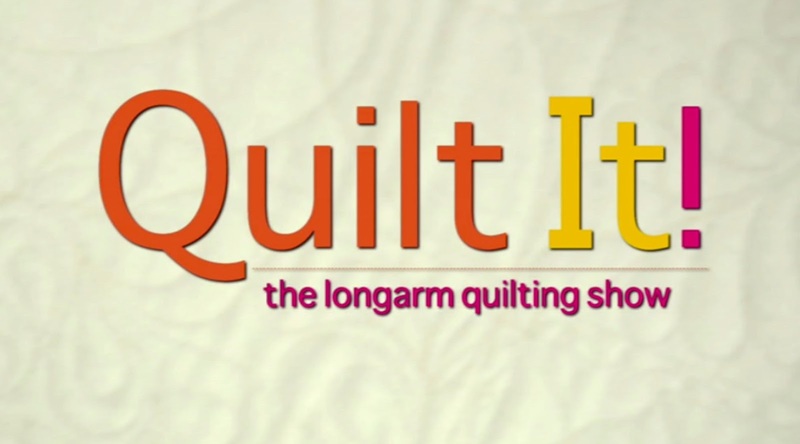 Quilting books with a fabric store gift card! Sounds like a good present to me! I think a new book makes a great gift. A quilting book? I just checked out "The Quiltmaker's Album of Patchwork Patterns" from our library. It's awesome! my sweet hubby bought me a sewing machine for my birthday. I like to get Amazon gift cards. I buy lots and lots of quilt books. Oh cute! I've never received this but if someone gave me a complete housecleaning (for my house, not me :)) I would be thrilled! Happy Birthday. A homemade birthday cake (so I don't have to make it myself). My favorite was a weekend - alone! - at a hotel. 2 blissful days of long baths, good books, chick flicks, and room service. Loved it!! I think a weekend out camping would be an excellent birthday present. I have quite a few friends that have made a thread keeper, but I don't have one yet. Would love to win. Thanks for the chance! A wonderful birthday present would be having my family all together and of course, a cake!! Unfortunately with my kids living 700 mile away, that doesn't happen too often. I know it's sappy but my kids are little and I really love all the homemade gifts they give me each year. I would love getting a trip for my birthday. Getting to go somewhere picturesque that I've never been. That would be fun!! My best birthday gift was my daughter. She was born the day after my birthday. It's my birthday today, and my present is I'm spending time entering all the giveaways! my favorite birthday present was a horse-drawn carriage ride! It is my birthday soon too and I am planning on going out to lunch with my family as my parents will be visting. Thanks for the chance to win - the weighted thread catcher is such a great idea. I got a dremel tool one year--love that! I think my favorite birthday gift was from my boyfriend in college. He took me to dinner at a really fancy restaurant, then to see My Fair Lady. Why was this so special? Because he didn't want to see the movie but took me since I wanted to see it so badly! He was a great guy! I think my favorite birthday gift was a clay thing my son made me years ago. thanks for the chance to win your prize it looks so sweet and useful to boot. Ever since I was a little girl, I'd dreamed of seeing the Lippizan stallions perform....on one of my milestone birthdays, I opened the card from my dear sweet hubby, and out fell TWO tickets to the Lippizan stallions' performance. First row, center seats. So close I could smell 'em and touch 'em...it was so awesome he did that for me, and I cried for their entire performance. I love that thread fabric - it would be sooo cute for the sewing corner!! Love your prize pack!! I would love to have an iPad, but fabric is always good, too! My favorite gift would be a night out with my friends away from my kids. Or maybe a trip to the hair salon for a fresh color. My birthday was Monday and I have to say that my favorite present was a card my 6 year old gave me that he picked out himself and signed. My kids always ask and I say, "fabric or a book"
Happy birthday. My mom used to ask for one day with no fighting amongst us kids. Little did I know that she really meant it! I so craved that when my children were little. Now they all get along great as do my siblings. A pedicure, with my daughter in tow. For my 50th birthday and our 25th wedding anniversary, hubby and I went on a Carribean cruise. I spent my 50th birthday snorkeling with tropical fish! It was the best! 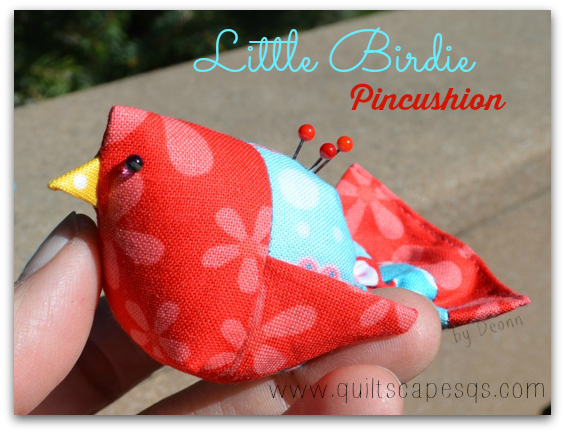 What an adorable pin cushion and thread catcher. As for the perfect birthday present - I would say this pin cushion would be good. My birthday is next month. Thanks for offering a giveaway. I always love spa gift certificates. Pedicure, facial, massage, heaven! A whole day at the spa with my best friend! ...I actually recieved this for Christas this year from my husband, and it was the BEST gift ever! Favorite birthday gift was a new house and a new sewing machine. These thread catchers a dandy, love the fabric. Best gift is to spend time with my grand baby, go to the park and spend time together(also include my great hubby). Live the thread catcher, I need one. One year I asked for and received a Horn sewing table. A few years ago I was given and Go! cutter...can you sense the theme here...yes anything sewing or quilt related and I'm a very happy birthday girl! I really really want a serger for my birthday! It will make finishing garments so much quicker! Thanks for the giveaway. My favorite gift was my Pandora charm bracelet. Every holiday/special occasion, I get a new charm to add to it. My favorite birthday present was tickets to see a Duke University basketball game! Go Blue Devils! Love the prize! I don't have a sewing room and I usually end up with a pile of threads on my kitchen table as I sew. This would really help me! Favorite birthday gift would be the ones I got from my children when they were little. A lovely huge (for us) gift voucher for my lqs was my present last year, it was perfect as I used it again and again! It was my birthday the other day, and my parents got me a commemorative Diamond jubilee biscuit tin. Maybe not everybody's cup of tea, but I love it! My favorte b-day present currently is my Nook Color. I would love a voucher for a relaxing massage, right here at home so I don't have to unrelax and drive home. What a luxury that would be! That and a large supply of fat quarters! I would love to be given a vacation package with a suitcase packed and ready to roll. a homemade card from my 4 year old! My favorite birthday gift would honestly be all of my kids coming and either taking me out for dinner or making me dinner and being together. I would LOVE that. I love anything and everything my daughter gave me-last it was Me to you teddy bear,I love them and she know about it,red rouse and she made me card.From my hubby it is from last year and it was pj,and I love pajamas.I would love to win some trip,receive so many yarn and sewing machine =o).Lovely giveaway,thanks for the chance to win it. Not having to cook a meal and wash up afterwards!! I would love to take a trip somewhere! Favourite birthday gift? Definitely a load of river rock in my driveway! (Weird, yes, but it cut down on the mud & sand tracked into my house & is still gorgeous years later!) Thanks for the chance to win. I love the thread catcher and could surely use one!! My favorite b'day gift would be my husband taking a day off work and taking me out for lunch and a quick little day adventure. My sweet hubby gave me a beautiful necklace for my birthday this year. I get so many compliments on it. Thanks for the giveaway. My sewing machine was my birthday present!! Favorite birthday present of all time was my son :) Now we have a "twins" birthday as he used to call it :) PS - I'm a follower! The cruise would be nice!! My parents gave me a car...I guess that would be the best. But when my kids make something that is better then the best. I always ask for a day off for my birthday, but it never happens! Thanks for the chance to win! My husband surprised me with a serger. Since I am currently without wheels I think a car would be a good one this year! Not gonna happen . . . Favorite birthday present?? I wish for a ticket to any international quilt show. I love getting gift cert. to my favorite clothing/crafting stores. Handmade cards are always welcome and if they want tobuysome fabric for me to make them newpillowcases, they really like to do that. Hmm, good question. And I'm not sure! Maybe a new sewing machine. I sew now on a old Singer that I love, but I can't free motion quilt on it. I want to get a long arm quilting machine but no one loves me that much. My birthday present this year was my plane ticket to sewing summit. Pretty awesome. A day where I don't have to make any decisions would be amazing. Favorite birthday gift?...A quilting cruise! I don't have a thread catcher, but have wanted to make one. I hope I win. What a wonderful idea, a thread catcher would come really handy. I totally subscribe the "a clean house and happy kids" wish, but I'm always happy when besides that they also give me books. My favourite birthday gift is always time - there never seems to be enough of it for everything! Time to do whatever it is I want to do that year. Happy Birthday! My BD is in a month:) I've loved gift certificates to our local quilt shop. Going out to dinner is always one of my favorites:) Thanks for a wonderful giveaway!!!! My favorite birthday gift is massage. My husband usually gets me a gift certificate for either my birthday/Mother's Day. It's a nice hour for me to fully relax and unwind without distraction. Happy almost your birthday! I loved getting a glow in the dark Hoberman sphere (some colors are better than others). It's an interesting decoration and kids love it. I also would love a trip for my birthday. We plan on going to disney world and on a disney cruise with the kids next year for my 40th. I know I don't have it yet, but it seems like it would be a great gift!! My dream birthday present would be a gammill quilting machine! I like to dream big! But I've gotten wonderful birthday gifts....which included fabric that I wanted to make into quilts. May you have a wonderful birthday...hope you get what you're hoping to unwrap! A couple of days by the sea is a very nice present. I think a trip to Ireland would be awesome! A clean house and happy kids would be awesome! Maybe a cook/housekeeper would help with that? What Cherise said right above me! Or, new towels or sheets would be fun. 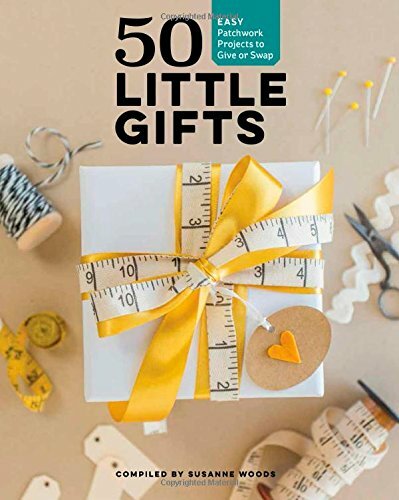 Oh I can think of a few birthday presents... a sewing day, time at my cabin- I think that a good present is always something that you wouldn't get for yourself but that you would love. Thanks for participating in the Giveaway Day. Hubby gave me a kindle fire.... first gift in 11 years.... it was so thoughtful! He knew I would never buy one for myself!! My birthday always falls around the hot air balloon race in our town. We usually go with a picnic dinner. It's always fun, nothing special, just a tradition. I love the thread catcher! Thanks for the chance to win! My son made me a stone crab for my birthday last year with help from his dad. He added eggs and details with felt. I love it and it sits on my dresser so I can look at it everyday. I find that people don't necessarily listen to what I ask for on my birthday. I would love a stack of fabric or a giftcard to my favorite on-line fabric store. I love receiving fabric/quilt kits and scrapbooking goodies! my favorite gift would be a gift certificate to my favorite quilt store . Thanks for the chance . Happy Birthday! Gift certificate from a fabric store or from amazon! This birthday was a big one for me (30) and i got lots of lovely gifts but the best gifts were the suprise arrival of 2 of my oldest friends and their families who live more than 12 & 18 hours drive away. They flew down just for me. I was ecstatic to see them. I just had a birthday and My darling husband gave me money to go fabric shopping! What a sweetie. Thanks for the give way. Entire Dayton sew with out interruptions. That would be the best birthday present ever!!!!! A favorite birthday present - the cards my kids make. I'd rather have their little drawings and love than anything else in the world. I was given a day at the spa with a massage, Manicure/pedicure/, body scrub and this cool shower thingie, facial, makeup and hair. It was SO relaxing and pampering!! How about a gift certificate to your fav fabric store?! My best birthday gift has been a Kindle E-reader. I love it so much! Favourite birthday present would be my family accepting my plans to be an eternal bachelor. More shallowly, a new car. Zoo membership! Seriously it's been fab! Great question! How about a birthday where your family organizes a treasure hunt, but at each clue spot they have to write a love note of sorts to you? I like handmade gifts and a day of not cooking.